HostUpon is highly experienced, privately owned and managed, web hosting company based in Toronto, Ontario Canada. The company was born out of a lifelong passion for technology and a need for more local Canadian hosting. 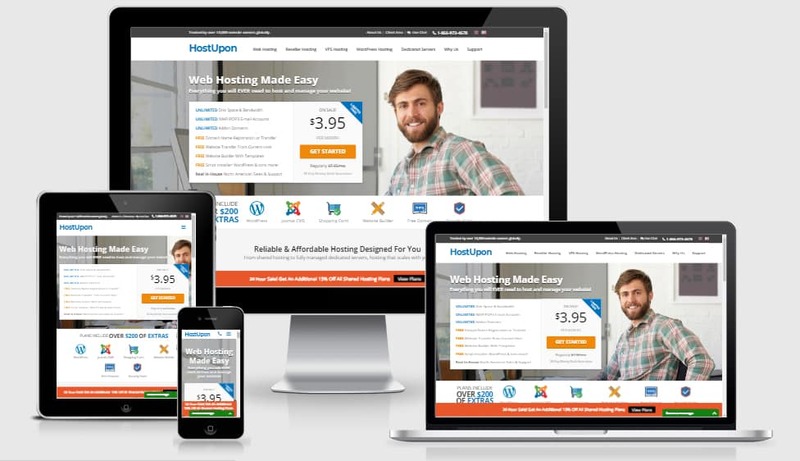 HostUpon has grown into a global hosting provider and now hosts over 30,000 websites worldwide. This week we had the great pleasure of speaking with the founder and CEO of HostUpon, Alfez Velji, who told us that it all “began when I was looking to host my own personal website”. Now the growing company hosts websites for a great number of international clients, “While we do consider ourselves a Canadian web hosting provider, we actually have clients in over 120 countries around the globe” Alfez informed us. Before HostUpon was created Alfez had already achieved some great experience in the web hosting space. He told us that he “was lucky enough to work for a Web Hosting company in 2002 while studying Computer Engineering prior to launching HostUpon”. In this company, Alfez gained some invaluable experience that would ultimately lead to the success of HostUpon. Alfez told us “The experience was priceless” and he “had multiple roles and met some amazing people in the industry at the same time”. Although Alfez is both educated and has a great deal of experience in the industry, he says that he is “a firm believer in continued education, whether that is academic or otherwise”. This belief enables HostUpon to remain at the forefront of the industry. The tech industry is always changing at a rapid rate, and on-going professional development seems to be a cornerstone to success in technology. Interestingly enough Alfez told us that “There are too many hosting providers who claim they are Canadian but have their servers in the U.S and he wants “to change that trend”. This is something that we have seen over and over with web hosts, and think that it is an admirable focus for a Toronto based hosting company. From the beginning, HostUpon has been focusing on providing web hosting for Canadians. Alfez told us “Being a proud Canadian myself I wanted our clients to know their websites would be hosted on Canadian soil”. Their team is entirely based in Canada and they do not outsource any of their services. Alfez proudly stated, “We have an amazingly loyal customer base in Canada which makes me very happy”. In the beginning, they focused on providing FFmpeg Hosting. Alfez told us “This was a time when social media was in its infancy and so my focus was on providing web hosting for clients who wanted to run websites with multimedia”. To this day, HostUpon is still one of the few companies who offer FFMPEG on all of their shared hosting packages. Alfez told us “FFmpeg is a server-side module that allows our customers to upload media and convert it to a web-friendly format”. Alfez told us that he is happy to accept the challenge of staying ahead of the trend and keeping up with the latest technological advancements. “Web hosting is a passion of mine,” he told us. The importance of a great online presence has never been more important that it is in today’s businesses. Alfez says “that is where choosing the right web host comes in to play”. At HostUpon they understand that a great web presence is a key to the success of any business today and they want to make sure you have all of the tools to be successful online”. Alfez is as keen about the advancements in web hosting as he was when he began HostUpon, he told us “It’s an exciting time in the web hosting industry and with the addition of CloudLinux technology we’re able to offer clients guaranteed resources for their websites”. HostUpon takes the protection of its customer’s data seriously and provides enhanced backups as well as deploying Immunify360 to further secure the servers from outside from outside threats: “without impacting performance”. HostUpon provides a responsive, proactive customer support service. The whole HostUpon team works in their main offices in Toronto. So, when contacting them you know that they will be able to provide accurate information, due to the fact you will be speaking directly to the source, as they never outsource their customer service. Alfez told us that “providing 24/7 support and customer experience is paramount for us. We are constantly changing, growing, upgrading, all based on the feedback, needs, and even demands that we get from our customers”. It is great to hear that HostUpon is so flexible when it comes to creating a customer experience that is dedicated to offering exactly what they need. Using the information that they glean from their customers, HostUpon focuses on the key requirements that the customer base currently has, this is reflected in their response to half of their clients using WordPress. Alfez told us “Close to 50% of our client base use WordPress and that continues to be a big focus of ours”. Therefore, by changing their focus, as the customer requirements evolve, this allows HostUpon to provide a high-quality customer experience. When purchasing a web hosting package over with HostUpon, you have peace of mind that your hosting price is set and completely transparent, “all of our web hosting plan prices are ‘locked in’. What this means is your price will NEVER increase” Alfez stated. Wow! You can’t get better than that! Alfez continued “When your initial billing cycle term is due for renewal you’ll pay the same price as you did when you signed up. No price increases or surprises”. If you decide to upgrade your service with HostUpon then you only have to pay the difference because they run a prorated system. Alfez said, “We’re always working to ensure your website is secure, reliable and affordable”. We were keen to find out how HostUpon manages and responds to the continuing need for automation. Alfez told us that their “Cloud Hosting plans are geared toward customers who want the ability to scale resources on the fly” and that “CPU, memory and disk space can be scaled up or down without having to reboot the server”. They are proud to use VMware as their “virtualization technology” as this allows them to offer “a seamless process which gives customers the ability to expand or decrease resources on demand”. It seems like automation is extremely important to HostUpon and implemented throughout the company. HostUpon have thought about just about everything and create automated processes throughout the company, they told us “With our Premium Backup service we automate the entire process. We’ll back up your website files, databases, and emails on a remote server. The backups are incremental so customers can simply restore just one file or one folder without the need to restore the entire account. No headaches or worries, simple automated backups and peace of mind”. This is a really important service to offer clients, and we are delighted to hear about how they address the need for keeping data safe. Alfez told us that they created optimal automation because “It allows our customers to focus on their business and not have to worry about mundane tasks”. We were excited to hear from Alfez that they are “currently involved in a few side projects, some of which include a website monitoring service as well as launching a Canadian VPS platform with scalable resources”. However, he was keen to state that HostUpon will continue to be his “primary focus”. They are keen to grow and expand the existing hosting platform globally as well as introduce new features, Alfez told us that “new features for our existing clients are just a few of the things to look forward to”. We thoroughly enjoyed chatting with Alfez and finding out more about how HostUpon works, and we can’t wait to see how they develop in the future, thanks Alfez! Thank you Alfez, it has been a real pleasure!